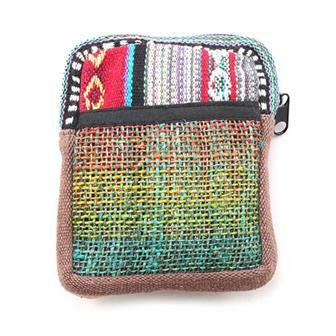 Our collection of passport bags and wallets are perfect for keeping documents or small items to hand when out and about. 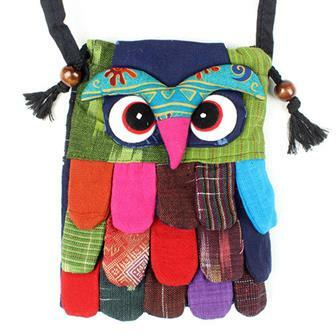 They are available in a great mixture of styles and fabrics. 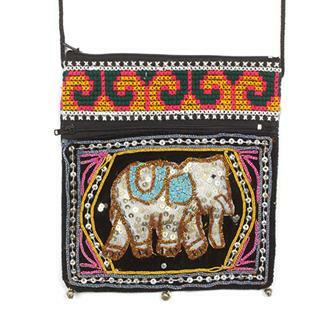 These fantastic sequined passport bags feature a funky, bling-like elephant front panel. 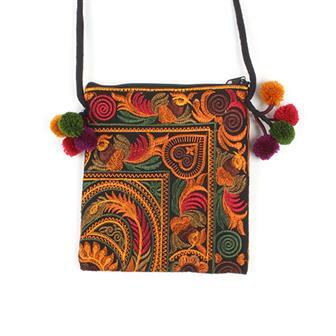 Surrounded by metallic threads and a band of lovely Thai Weave cotton material, each of these eye catching bags has a long neck strap and zipped main compartment. 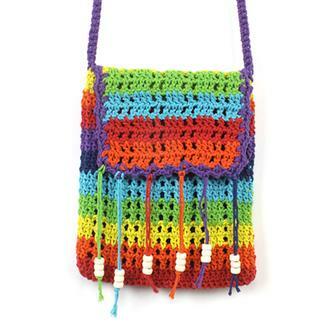 These wonderful passport bags are made using our very popular Thai Weave material. 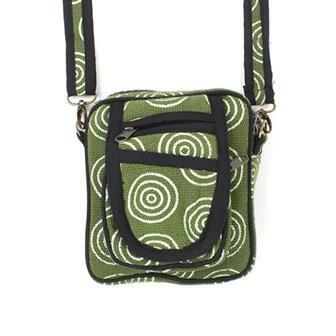 Each one has a long neck strap and zipped compartments making them an invaluable travelling accessory! 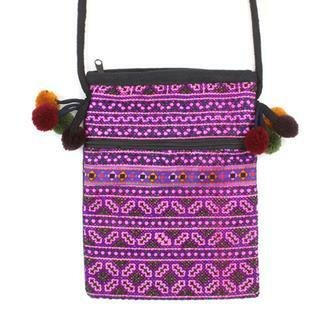 These beautifully embroidered passport bags are handmade in Northern Thailand. 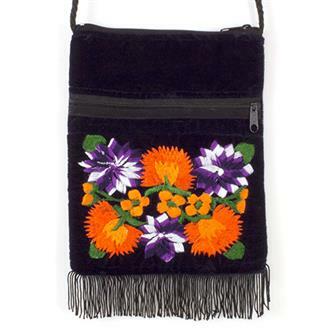 Each features a shoulder strap, a sturdy zip and decorative pom poms. 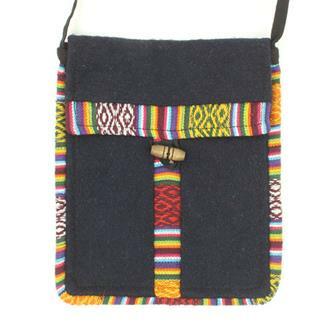 Made from traditional Hmong hill tribe material in Northern Thailand, these twin zipped passport bags make for a very stylish and handy accessory. 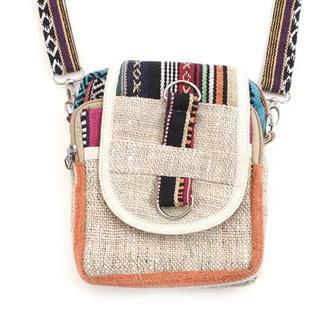 Simple heavy cotton passport bag with wooden toggle clasp and adjustable shoulder strap. 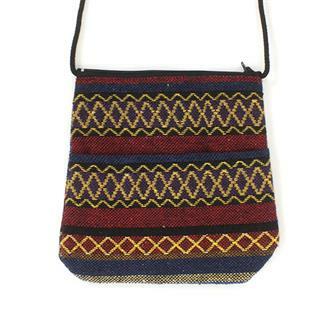 This single toned bag is perfect as a small day bag.